Licence application forms can be found in Police Direct and you must carefully complete all sections. Please view the security licence fees. People wanting to apply for an Agent’s licence must successfully complete an open book pre-licence test before submitting their application. The test is based on the Security and Related Activities (Control) Act 1996 and the Security and Related Activities (Control) Regulations 1997. A copy of these can be obtained from the State Law Publisher website. For an existing business in the Security Industry, letter confirming the business you are applying to be an agent on behalf of is financially sound. Pass a written examination based on the content of their training course. For further details and to make test payment and bookings, please visit the SAIWA website. An approved training course is no longer required for a Security Officer – Control Room/Monitoring Centre Licence. A licence is still required, however applicants only need to submit the required documents mentioned above. 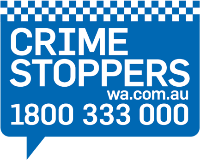 view information relating to Firearm and Baton endorsements. Class 1: Consult in safes, vaults and locks of a kind prescribed in Regulation 6. No pre-licence test or training course is required. Class 2: Consult in security alarms, CCTV for security purposes, equipment and devices prescribed in Regulation 8. Must have completed an approved training course in Technical Security. Class 3: Consult in security doors as prescribed in Regulation 7. A pre-licence test based on AS5040 must be completed with a minimum of 80% to pass the test. Applicants within 50km of the Perth GPO complete the test at the licensing office in Cannington. Applicants outside this area complete the test at their local police station. Class 4: Consult in matters relating to watching, guarding and protecting of property. Must have completed Certificate IV in Security Risk Management. Class 1: Install, maintain or repair safes, vaults and locks of a kind prescribed in Regulation 6. Must have completed an approved training course in Locksmithing. Apprentices must provide proof of apprenticeship. Class 2: Install, maintain or repair security alarms, CCTV for security purposes, equipment and devices prescribed in Regulation 8. Must have completed an approved training course in Technical Security. Class 3: Install, maintain or repair security doors as prescribed in Regulation 7. A pre-licence test based on AS5040 must be completed with a minimum of 80% to pass the test. Applicants within 50km of the Perth GPO complete the test at the licensing office in Cannington. Applicants outside this area complete the test at their local police station. Class 4: Install locks of a kind prescribed in Regulation 6. No pre-licence test or training course is required. Please note that new applications are not accepted after 3.15pm and renewals are not accepted after 3.30pm. Tests cannot be taken after 2:30pm. Maximum time allowed for completion of the test is 60 minutes. Applicants more than 50km from the Perth GPO must apply in person at their local police station.